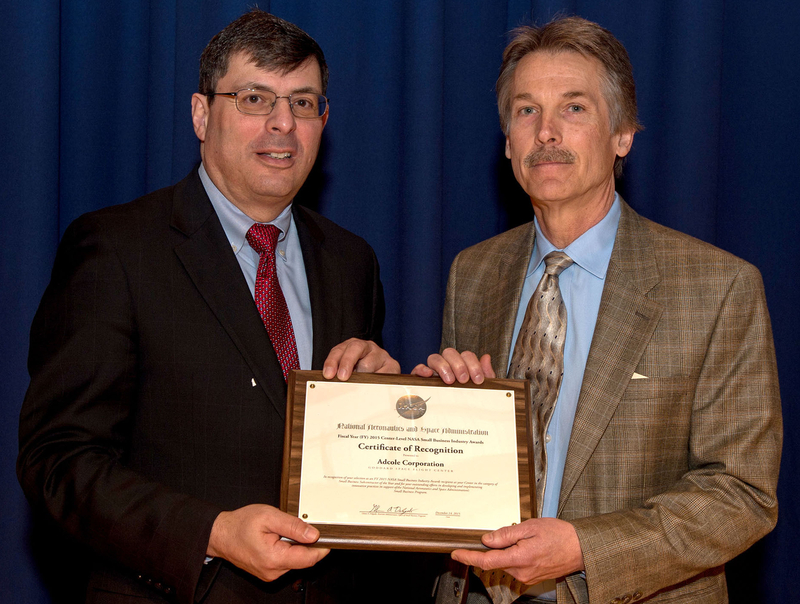 Marlborough, MA – Adcole Corporation announced their selection as winner of the Goddard Space Flight Center Small Business Subcontractor of the Year Award for FY 2015. The award recognized Adcole for consistently providing high-quality products to NASA and for being an extremely reliable and responsive subcontractor during the past 40 years. Adcole Corporation is one of very few small businesses that provides instrument-level hardware to NASA and other spacecraft prime contractors. Adcole Sun Sensors, which are often part of a spacecraft attitude control system and also used for instrument and solar array pointing, have been a key component of NASA spacecraft launched since the 1960s. Adcole Corporation is dedicated to the manufacture of aerospace and industrial metrology products. In addition to having Sun Sensors flying on every GPS satellite ever launched, Adcole provides highly accurate, precision measuring gages for leading engine manufacturers worldwide.